The facilities, equipment and staff of a large, well-established practice with the customer service and continuity of a small family run business. Our Cardiff and Ystrad Mynach branches have each been manned continually by at least one vet and one nurse for more than 10 Years. 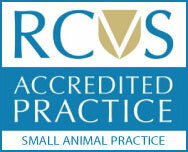 Our progressive and enthusiastic team of vets and nurses have a diverse range of interests and expertise including internal medicine, surgery, diagnostic imaging, dentistry, rehabilitation, behaviour and ‘exotic’ pet care.